MONTGOMERY — It seemed like every time Valley Central junior guard Katie Crofoot shot the ball on Saturday afternoon, it went through the hoop. She scored a career-high 21 points and shot 8-of-15 from the field in a 65-45 win over divisional foe Washingtonville. She’s been shooting the ball more-and-more lately, totaling double-digit points in her last three games. It’s no surprise her shooting has improved since the beginning of the season, and she explained why. The Vikings came out of the gate strong, scoring 24 points in the first quarter, and never looked back. They never trailed again, leading by as many as 30 points in the second half. Sophomore center Shaina Cooney came off the bench for the second time this season and contributed 10 points, 13 rebounds, four assists, and three blocks. 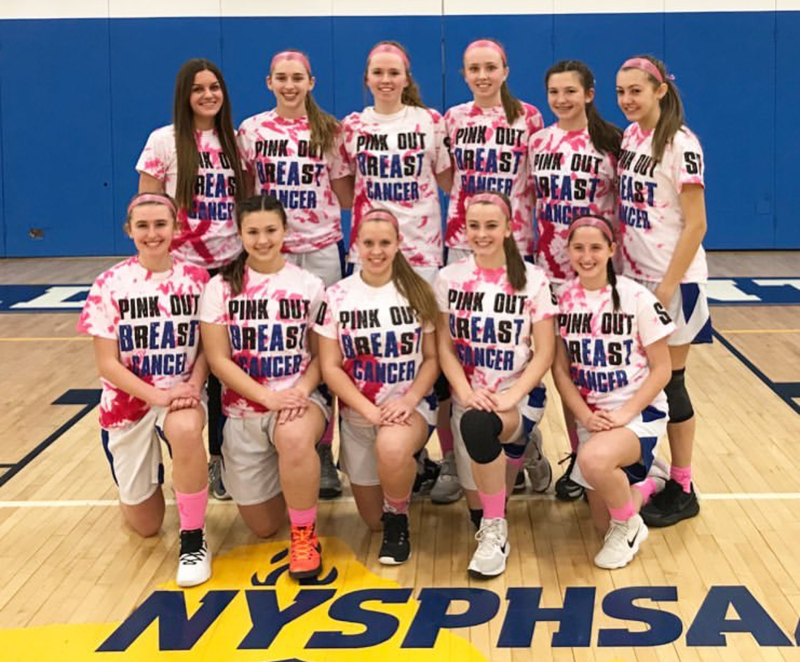 She didn’t start because head coach Randy Axtell wanted to pressure Washingtonville with their two quickest guards. “I feel I started slow in the first quarter, but got momentum in the second quarter and was able to bring it into the second half,” said Cooney. Valley Central avenged their early-season loss against Washingtonville by playing more team-oriented basketball. They had 14 assists today — their most all season. With the win, the Vikings improve to 11-3. They are tied with Warwick for the fewest losses in Section 9. Their goal is to win the Section 9 title, and Cooney knows what it’ll take for that to happen.